The AlienXPO is coming to the Knoxville Convention Center on August 17th & 18th, 2019! Get your tickets now! AlienXPO is a fun, educational weekend where you’ll get the unique opportunity to be immersed in UFO & Alien phenomena. There will be vendors, music, meet & greets, alien costume contest, photo booths, book signings and more! During this two-day event you’ll also hear eye-opening lectures and panel discussions on everything from stunning UFO sightings, abductions & experiments, alien technology and other intriguing phenomena. Pick up some cool merchandise and check out artifacts from the Roswell Museum! 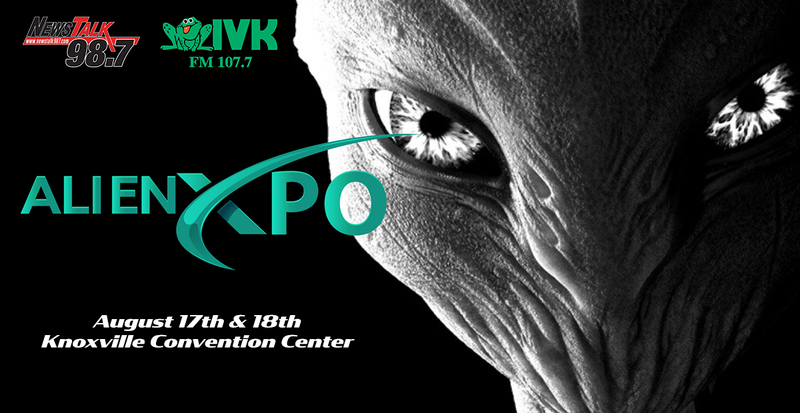 AlienXPO will be held at the Knoxville Convention Center August 17th and 18th. For more information go to AlienXPO.com and for tickets go to Eventbrite.com!